TULASI: The botanical name, Ocimum Sanctum, Sanctum (meaning holy), is used out of respect for a mystic tradition that has a written foundation of over 5000 years, and an oral one that cannot be dated. Purifying to the mind, emotions and body, Tulasi beads can always be seen around the necks of serious yogis and mystics in India. Dispelling the unwanted influences of others, gross and subtle, is one of the many benefits bestowed by this most powerful plant. Tulasi plants are even prized in Ayurveda, where they are an integral part of that sophisticated healing system. Even the Western chemists recognize considerable healing properties and have isolated eugenol, carvacrol, methyl eugenol and caryophyllene from the leaves alone. In practically every temple in India, there is a special place reserved for this sacred plant. Mystics, yogis and pilgrims consider it a great privilege even to water her. 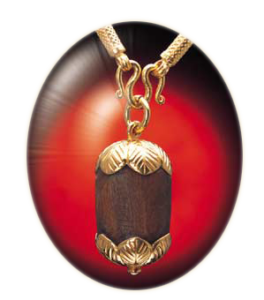 Her qualities and amazing powers are found throughout the oldest writings on Earth, the Sanskrit Vedas of ancient India, where it states that simply touching the wood is purifying at many levels. 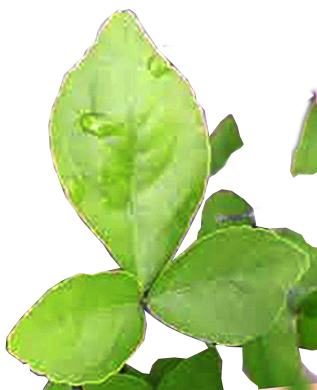 Tulasi is the plant most loved by Lord Vishnu; and the Goddess ruling Tulasi, Vrinda Devi, is known as the personification of bhakti or devotion to the Supreme Being. 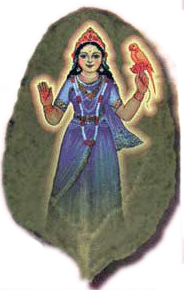 Therefore Tulasi beads are used and worn by Vaishnavas to this day. That the Buddha was sitting under a tree at the time of his enlightenment has come to give trees even more significance and most specifially the asiatic fig, now known to Buddhists as the Bodhi Tree [bodhi = being awake, enlightened, supreme knowledge] and universally, botanically known as ficus religiosa (Latin). 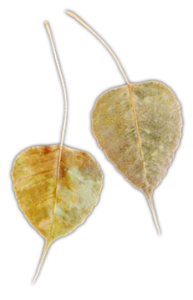 Bodhi trees are commonly found growing in Buddhist centres all over the world. The scriptural account of the Buddha’s enlightenment gives further significance to trees. 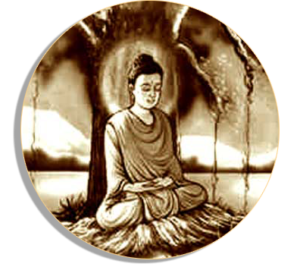 We read that after enlightenment the Buddha sat cross-legged for seven days at the foot of the Bo-tree experiencing the bliss of emancipation and radiating gratitude to the tree. At the end of seven days he left the the Bo-tree and drew near to the Ajapala (the Goat-herd’s) banyan-tree and likewise sat cross-legged for seven days. 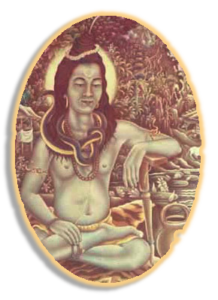 On leaving the foot of the Ajapala banyan-tree he drew near to where the Mucalinda tree was and, having drawn near, he again sat cross-legged for seven days. [this is the prelude to the story of Mucalinda, the seven headed naga (serpent-king). The first scriptural reference to the Bodhi tree being established as an object of Buddhist worship is in the Kalingabodhi Jataka. The layman Anathapindika (donor of the Jetavana monastery where the Buddha was living at the time) asked if there was a place or object of reverence where devotees could pay their respects and offer homage when the Buddha was away. 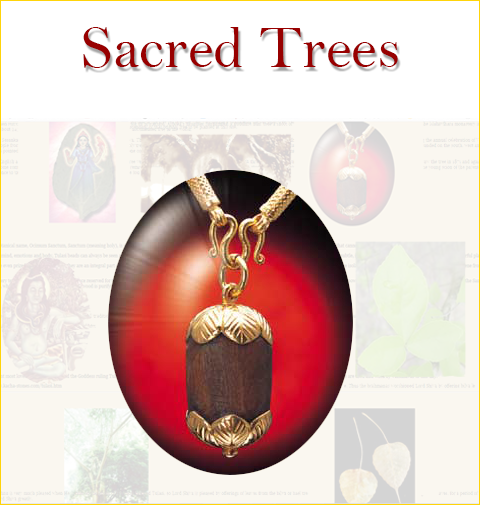 The Buddha said that the Bodhi tree was such a thing and a seed of the original tree was brought. A bodhi tree (the original?) can still be seen on the site of the old monastery at modern Sahet Hahet (Savatthi) in India. The earliest records on the tree at Bodh Gaya are in the ‘Kalingabodhi Jataka’, which gives a vivid description of the tree and the surrounding area prior to the enlightenment, and the ‘Asokavadana’, which relates the story of King Asoka’s (3rd century B.C) conversion to Buddhism. His subsequent worship under the sacred tree apparently angered his queen to the point where she ordered the tree to be felled. Ashoka then piled up earth around the stump and poured milk on its roots. The tree miraculously revived and grew to a height of 37 metres. He then surrounded the tree with a stone wall some three meters high for its protection. 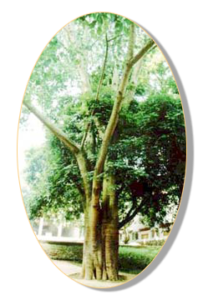 Ashoka’s daughter Sangamitta, a Buddhist nun, took a shoot of the tree to Sri Lanka where King Devanampiyatissa planted it at the Mahavihara monastery in Anuradhapura about 245 BC. It still flourishes today and is the oldest continually documented tree in the world. Much later the English archeologist Cunningham records, “In 1862 I found this tree very much decayed; one large stem to the westward with three branches was still green, but the other branches were barkless and rotten. I next saw the tree in 1871 and again in 1875, when it had become completely decayed, and shortly afterwards in 1876 the only remaining portion of the tree fell over the west wall during a storm, and the old pipal tree was gone. Many seeds, however, had been collected and the young scion of the parent tree were already in existence to take its place.” The present Bodhi tree is most probably the fourth descendant of that original tree to be planted at this site. The Bodhi tree plays a very important role for Buddhists of all traditions, being a reminder and an inspiration, a symbol of peace, of Buddhas’ enlightenment and of the ultimate potential that lies within us all. Just as Lord Vishnu is very much pleased when He is offered the leaves of His most beloved Tulasi, so Lord Shiva is pleased by offerings of leaves from the bilva or bael tree. Thus the brahmanas worshipped Lord Shiva by offering bilva leaves, for a period of one fortnight and satisfied Lord Shiva greatly. Bilva is the bael tree. 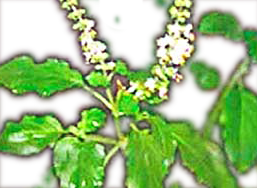 Its fruit, flowers and leaves are all sacred to Siva, liberation’s summit. Planting Aegle marmelos trees around home or temple is sanctifying, as is worshiping a Linga with bilva leaves and water.